Pakistan Water and Power Development Authority (WAPDA) Chairman Lt Gen Muzammil Hussain (Retd) has emphasised the importance of dam development by stating that as much as 20 million acres of barren land can be brought under plough if the water is made available by developing water storages in the country. Commenting on the factors behind the current scenario of water and hydropower sectors in the country, Gen Hussain said that the situation can be improved by putting a robust development mechanism in place and exercising prompt decision making. All stakeholders including the Chambers of Commerce and Industries have to play their due role to implement the National Water Policy for water, food and energy security of the country, he said. The delegation was briefed about WAPDA projects in water and hydropower sectors. It was informed that by 2025 WAPDA plans to add two million acre feet to water storage capacity and 828MW hydropower generation capacity, with another eight million acre feet of water storage and 5653MW power generation up to 2030 in medium term and 28 million acre feet water storage and 6245 MW generation capacity up to 2050 in long term with completion of its various projects. Timely decisions and availability of funds are key to implementing short, medium and long term projects in accordance with their timelines. 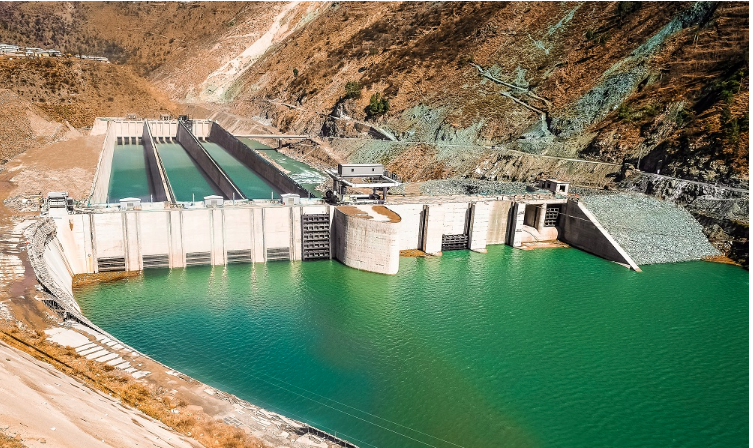 Earlier this week it was announced that the Neelum Jhelum Hydropower Project constructed by WAPDA on the River Neelum in Azad Jammu and Kashmir achieved yet another landmark, as electricity generation from the project crossed the 1000MW mark. The project generated up to 1040MW, with the project’s installed generation capacity standing at 969MW. Since its commissioning in April 2018, Neelum Jhelum Hydropower Project has so far injected over 2.35 billion units (kWh) into the National Grid. These days, the project is providing more than 20 million units per day. The annual energy production from Neelum Jhelum Hydropower Project is expected to achieve a planned 4.6 billion units during 2019.